A report out of Vancouver claims that an AC/DC fan has spotted and spoken with both guitarist Stevie Young and drummer Phil Rudd in the Canadian city as speculation continues over the status of the Australian band. Journalist Steve Newton at The Georgia Straight was contacted by a fan about his alleged interactions with both rockers on August 1; while no images or audio of the encounters have surfaced, he is standing by the tipster. “There’s been a lot of rumour and speculation flying around the music world since I posted on the Georgia Straight website,” Newton writes on his Ear of Newt blog. “The assumption was that, since AC/DC had recorded its last three albums here at Warehouse Studio, it might be in the midst of making – or at least planning – another one, this time with Rudd back in the lineup on drums. "I have complete faith in my source, who says he saw – and actually chatted with – the two Aussie rockers," adds Newton. "Why the hell would he contact me out of the blue and lie about it?" Stevie Young was brought in to handle rhythm guitar for the recording of 2014’s “Rock Or Bust” after his uncle, Malcolm Young, retired from the group due to dementia; Rudd was featured on the record but a series of legal issues in New Zealand sidelined the rocker from the accompanying world tour, which saw the return of drummer Chris Slade to the lineup. When the tour was temporarily halted in early 2016 after singer Brian Johnson was advised by doctors to stop performing in arenas and stadium-sized venues immediately or risk total hearing loss, Axl Rose stepped in to help the band complete the final dates of a trek that ended with the retirement of bassist Cliff Williams after the final show in Philadelphia, PA in September of that year. 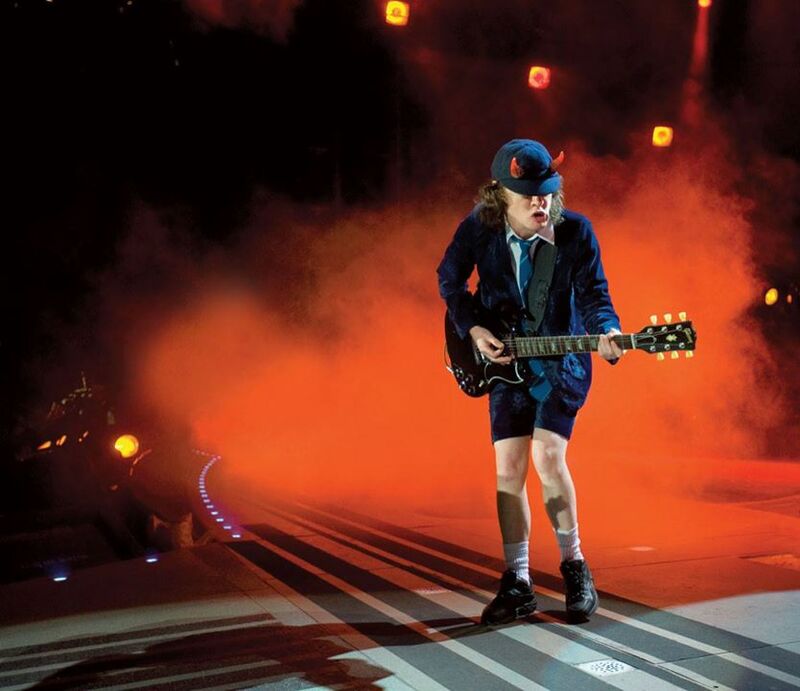 Following Malcolm’s passing last November at the age of 64, AC/DC’s future remains unknown as guitarist Angus Young is the sole remaining original member of the band. A spring 2018 report out of Australia quoted Rose Tattoo vocalist Angry Anderson as saying that Angus revealed his plans to work with Rose when the pair chatted during a series of Guns N’ Roses shows in the country early last year. UPDATE (08/08): AC/DC members have been photographed at a recording studio in Vancouver - see the photoshere and here.